Idaho Farm Bureau members get up to 20% off the hotel’s standard rate. Members call 1-800-258-2847 or go to www.choicehotels.com to get prices and reservations for all the hotels in the Choice Hotel chain. The discount code is located on the back of your Farm Bureau membership card. You can also call your local county Farm Bureau office or Dixie Ashton 208-239-4279 to get the code. This program requires advanced reservation. The person behind the counter of the hotel isn’t going to know how to pull up the discount from their computer at the hotel, but a national operator will know exactly what the discount program is about and can easily make the reservation. 2. At the bottom of the reservation box there is a line that says, “Best Available Rate.” Scroll down on the box and click on Special Rate/Corp ID. Enter the discount code found on your Farm Bureau membership card. Farm Bureau discount prices will now be shown instead of the regular price. As a member of Idaho Farm Bureau, you will receive up to 20% off the “Best Available Rate” at participating locations when you travel. Book online or call and give the agent your special discount ID number 8000002020 at time of booking to receive discount. How does it work? Members Call Toll-Free: 877-670-7088 (For Super 8 call 800-889-9706) (For Wyndham Hotel & Resorts 866-854-1604) and use Farm Bureau Discount ID# 8000002020. Farm Bureau Deal - 10% discount. Not all Holiday Inn’s participate. Call 1-877-424-2449 and use Farm Bureau discount code 100334603 or click on Farm Bureau IHG Booking link to make your reservation. To be sure you get your Farm Bureau discount, always reference Idaho Farm Bureau's organization account number when visiting your local branch, making a telephone order, or when setting up your personal account online. If you have questions or need assistance, please call Dixie (208) 239-4279 or visit your local FB office. Farm Bureau Bank - Members contact Farm Bureau bank directly to set up accounts, request credit card information, etc using referral code 800169… Everything is done online or over the phone. Farm Bureau Bank offers a combination of products, service, delivery and communication to Farm Bureau members. Core banking services include credit cards, FDIC insured deposit accounts, vehicle loans, residential mortgage loans, and business lines of credit. Website: www.farmbureaubank.com Phone: 800-492-3276.
Credit Card info: 3% gas, groceries and restaurants, 2% of Grainger and insurance premiums, 1% on all other purchases, No annual fee. Farm Bureau Scholarships - The Scholarships are available to a member of an Idaho Farm Bureau family for one year of higher education at an institution of their choice. Contact your local Farm Bureau county office for deadlines. Dental Benefit Program - This program is not insurance. This program is contracted dental rates with participating dentists for Idaho Farm Bureau members who are paying out-of-pocket. Step #1: Idaho Farm Bureau members go to href=http://www.dentalbenefitprogram.com, click on Get Started NO COST and order a membership card using Group# IFBF. A specific patient ID# will be generated, and a card will arrive in the mail. Members should order an individual card for each spouse (dependent children may use their parents' card). Step #2: After receiving a patient number, a member may return to www.dentalbenefitprogram.com and login to their account using their group and patient number. They can then locate a participating dentist in the CoOp and check current contracted rates for all eligible services. Step #3: After checking out rates, interested members may contact a participating dentist and make an appointment taking their dental card with them when they go. Members are responsible for full payment, which is due at time of service. Idaho Farm Bureau members can receive $500 Bonus Cash* toward the purchase or lease of an eligible 2018/2019/2020 Ford vehicle, and $750 Bonus Cash* toward the purchase of an eligible 2018/2019/2020 Lincoln vehicle. • You must be a member of Idaho Farm Bureau for at least 30 consecutive days prior to purchase. • The Ford Special offer will only be honored in participating Farm Bureau states. *Program 36238: $500 Bonus Cash offer exclusively for active AL, AZ, AR, CA, DE, FL, GA, ID, IL, IN, IA, KS, KY, LA, MD, MI, MN, MS, MO, NE, NM, NC, ND, OH, OK, OR, PA, RI, SC, TN, TX, UT, VA, WA, WI Farm Bureau members who are residents of the United States. Offer is valid through 1/2/2019 for the purchase or lease of an eligible new 2017/2018/2019 model year Ford vehicle. Not available on Shelby GT350®, Shelby® GT350R, Mustang BULLITT, Ford GT, Focus RS, F-150 Raptor and F-150 Diesel. This offer may not be used in conjunction with most other Ford Motor Company private incentives or AXZD-Plans. Some customer and purchase eligibility restrictions apply. Must be a member for 30 consecutive days prior to purchase. Limit one Bonus Cash offer per vehicle purchase or lease. Limit of five new eligible vehicle purchases or leases per Farm Bureau member during program period. Visit FordFarmBureauAdvantage.com or see your authorized Ford Dealer for qualifications and complete details. Case-IH Equipment - Save $300-$500 on eligible purchases. Carpet One - Farm Bureau Members Receive a 10% Discount. Some stores will have designated staff to handle Farm Bureau members so members, should identify themselves at the beginning of the process. This will prevent them from having to switch staff in the middle of the selection process. If you have any questions your local Carpet One dealer or call Dixie 208.239.4279. 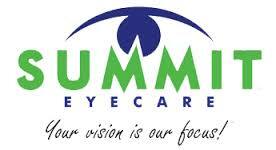 Locations: Pocatello, Idaho Falls, Twin Falls, Lewiston, Coeur D’Alene, and Ponderay. Regal and AMC Theaters - Tickets must be purchased at a Farm Bureau office. Discount tickets are exclusive for members of the Idaho Farm Bureau or Idaho Farm Bureau employees. These tickets are UNRESTRICTED, meaning they are valid for all movies and show times. The tickets have no expiration date. Tickets are non-refundable. Limit of 8 tickets. Members simply need to take these tickets to the box office and exchange them for the movie ticket of their choice. Discounts are best used for adults going to evening shows. Do not use for children (11 & under), seniors (60 & over), or matinees. Members should be prepared to pay a surcharge at the theater for any 3-D films. Do not use for any special events. Commercial Tire - Idaho Farm Bureau members receive 10% off* Your Farm tire Specialist with a fully-equipped fleet of trucks, and our professionally trained service techs are ready to roll. *Up to a $50 discount. 24/7 on-the-farm service 1-866-807-8473. Commercialtire.com. Must present membership card for discount. Enterprise - Idaho Farm Bureau members can receive 10% off regular retail price for all car classes on the daily rate of a rental vehicle in Utah/Idaho. For U.S. rentals outside of Utah/Idaho, Enterprise's affliliated entity's renting location from which the rental originates will apply a 5% discount off the standard, undiscounted daily, weekly and monthly rates charge by the renting location. Members make a reservation either online or call 1-800-736-8222 and use code CID2197. No coupon required. Online Instructions: #1. Go to www.enterprise.com. #2. At the bottom of the reservation box there is a line that says “Optional: Corporate Account Number or Promotion Code”. Enter the code CID2197. #3. Enter in destination plans and press search. A box appears that says, “please enter the first 3 characters of your company's name or PIN number:” Enter in the letters “FAR”. Farm Bureau discount prices will now be shown instead of the regular prices. Step 1: Place all of your reservation information on the first page and press “Continue To Next Step”. Step 2: Under the Rate/Discount section, select “Check my corporate rate” and then type A298812 in the AWD box. Corporate rates will then appear. Farm Bureau discount prices will now be shown instead of regular prices. Hertz - Depending on the area where members are renting, members can save $3 to $30 a day on a vehicle rental. #2. At the bottom of the reservation box there is a line that says “Enter a Discount or Promo code” Check the box. Continue by putting the code in “Discount/CDP/Club Code” enter “0409226” Click on ‘Book as a Guest’ Farm Bureau discount prices will now be shown instead of regular prices. Disclaimer: Corporate discount rates will be the lowest price almost every time. However on occasion, there may be times that a franchised location will have too many unused rentals on their lot and will be forced to low-ball a rate below a corporate rate. We advise our members to check out the regular prices, compare that to the Farm Bureau corporate rate, and take the best deal. Lagoon - Includes Rides, Lagoon A Beach, Midway, Pioneer Village, Picnic Areas and Daily Entertainment. The general public pays $69.40 with tax for a one day pass for the 2019 season. Farm Bureau members pay $52.00 for a one day pass. Farm Bureau Members need to purchase the tickets ahead of time from a local county Farm Bureau office or call Dixie (208) 239-4279 to find local locations. All offices in the southern section of the state have these tickets on hand. Silverwood - Online only sales: $47.00, regularly $53 for adults, that's $6 OFF GATE PRICES; $27, regularly $30.00 for youth/seniors (ages 3-7 & 65+) $3 OFF GATE PRICES. Step 2: Click on the 'TICKETS & ADD-ONS’ blue graphic in the upper right of the page, then type in the FB code "IFB2019 " as the Promotion Code. Roaring Springs - (Closed for the winter season) Members can purchase tickets through most county Farm Bureau offices from Magic Valley to southwest Idaho or call Dixie 208-239-4279 for locations. 2019 Prices: $27.50 w/tax for tickets in an office. (3 & under free). A second option is to simply go to www.roaringsprings.com click on Roaring Springs, then Groups > Discount club > Buy Now. Group Name: farmbureau Password: familyfun (all lower case) Print confirmation (or show on phone). Take to the turnstile and enter waterpark. Triple the Fun Roaring Springs/Wahooz combo ticket (online only) 52.99 + tax. Wahooz Family Fun Zone - 2019 Online only sales. $36.99 + tax, $31.49 for senior/child under 58”. Buy Wahooz tickets at www.wahoozfunzone.com. Click on Wahooz, then Group Sales > Discount club > Buy Now. Group Name: farmbureau Password: familyfun (all lower case). Print confirmation (or show on phone) Take to Wahooz ticket counter. Triple the Fun Roaring Springs/Wahooz combo ticket (online only) 49.99 + tax. You can use one ticket one day and the other ticket within the next six days. San Diego Zoo - Order and print your tickets for the San Diego Zoo and San Diego Zoo’s Safari Park from your computer thru the Click and Go Wild online program by using the access code below. How Do I Click and Go Wild with My Farm Bureau Benefit? 2. Select San Diego Zoo Tickets or Wild Animal Park Tickets. 3. Select Tickets & Hotels then 1-Day Tickets, Best Value Tickets, click on the BUY button. 6. In the Shopping Cart, type in your Promotional Code "20066" and click on Apply (Don't just press the Enter or Return Button). The page will automatically update with your discounted price. 7. Continue to check out. Sea World - TicketsatWork is now the official corporate discount program for SeaWorld. You will need to register on their site to purchase tickets. Be sure to have your dates correct when ordering. These tickets are non-refundable. Please compare Farm Bureau corporate pricing to regular pricing on SeaWorld's regular website. Corporate rates sometimes fall between weekend pricing and weekday pricing so this option may be favorable depending on the day of the visit. Knott’s Berry Farm - Idaho Farm Bureau members can save on entrance prices at Knott’s Berry Farm. TicketsatWork is now the official corporate discount program for Knott’s Berry Farm. Save about $6.50 per ticket. You will need to register on their site to purchase tickets. How to register: 1. Go to www.TicketsatWork.com/knotts 2. Click on “Become a member” 3. You will then be prompted to create an account with your email address and company code which is: KBFIFBF. How to purchase tickets: Visit TicketsatWork.com/knotts. Then log in using your email and password. Next, proceed to purchase tickets OR place your order over the phone by calling customer service at 1.800.331.6483. Orders are taken over the phone daily 8:30 am - 12:00 am EST. Be sure to have your dates correct when ordering. These tickets are non-refundable. Great Wolf Lodge - Save up to 30% OFF. Be rewarded with Great Wolf Perks. You’re going to love winding down our water slides, dining in one of our Northwoods-themed restaurants and building great family traditions. 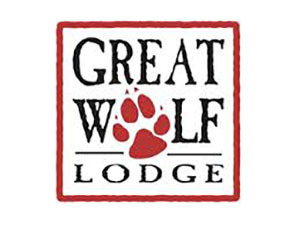 For more information or reservations, visit greatwolf.com or call 800.905.WOLF (9653). Use Corporate Code: IDAH832A. Must present valid membership ID or documentation at check-in. Valid on a per night basis and must be mentioned at time of reservation based on 2018 standard rates. Limited number of rooms available for each date. May not be valid during holiday and blackout periods or combined with any other discount or promotional offers. Multiple night minimum stay may apply. Offer based on 4 guests per room and must have one individual 21 years of age or older staying in each room. 200 W Alameda; 1414 E Center St; 4650 Hawthorne Rd, Suite 3B or the home office. Farm Bureau Member Price $38 - Regular Daily Ski Ticket price $47. Brundage (McCall) Idaho Farm Bureau members must present a valid Farm Bureau membership card at the Brundage lift ticket window to receive the Farm Bureau discount rates with the discount applying only to the Farm Bureau cardholder. If a replacement membership card or additional spouse card is needed, please contact Peggy Moore at 208-239-4271. One ticket per valid membership card. Silver Mountain Resort (Near Kellogg, Idaho) Online Sales only. 3. Once you are on the shopping cart page simply select which product(s) you wish to purchase. The discounted price will show up after you enter your promo code in the coupon code box. Deer Valley Resort (Utah) Idaho Farm Bureau members can make arrangements for adult ski passes. Contact Dixie 208-239-4279, Joel 208-239-4289 or Peggy 208-239-4271 at Idaho Farm Bureau for information. These discounts are for Farm Bureau members only. The passes are not dated so they can be ordered well in advance of anticipated use. They are, however, non-refundable. Deer Valley sells vouchers not passes. Cost is $96 (reg. $157) for 2018-2019 season with blackout dates of Dec 26th -Jan 3rd, and Feb. 16th-20th. Amerigas - Farm Bureau members pay 10 cents less per gallon of AmeriGas Propane than residential tier regular customers with a supply agreement and equipment lease. Farm Bureau members currently receiving tiered pricing from Amerigas can still take advantage of this deal. This offer cannot be combined with AmeriGas’s “Price Lock Guarantee” Program. For questions, contact your local AmeriGas dealer. 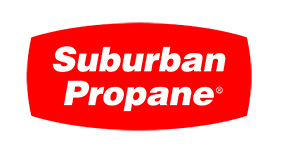 Suburban Propane - Idaho Farm Bureau members receive special Suburban Propane members-only pricing which equates to significant savings over the standard new customer price. Discount is for new purchases. Call dealer for full details. Boise area (208) 375-4254; Twin Falls area (208) 733-4608; Pocatello area (208) 232-1723. Valley Wide Cooperative - The #1 propane dealer in the state of Idaho would like to offer the members of Idaho Farm Bureau .15 cents off per gallon home delivery and 10% off all propane appliances and appliance installation (water heater/cook stoves/fireplace/insert propane fireplace). The customer needs to show their membership card to the delivery driver or service tech prior to the work being completed. Salt Lake Express - Farm Bureau members receive a $5 discount (round trip) or a $2.50 discount (one-way) using Salt Lake Express. Prices may vary depending on time of day. The $2.50-$5 discount applies only to “ONLINE” reservations. Members may call 208-656-8824 to make a phone reservation but will not receive the Farm Bureau discount. 1 - Simply select the "Search Schedule" tab on the home page. d - Type in code farmbureau for all Idaho locations. 3 - Click the button at the bottom that says: "Next: Select Schedule Time." On the next page you can view the shuttles available and their price without making a commitment to travel. From this page, you can also go to the next or previous day to compare pricing and check availability. Only when you select the desired shuttle(s) from this page and submit your payment information will a reservation actually be made. Notice: The Salt Lake Express does not authorize parking at any of its stops. Boarding Locations are provided as a courtesy by the respective businesses, but they do not have any liability or obligation to our passengers. Salt Lake Express does not have representatives at any of its stops. If you have a question about our service including the stops, please call their office. 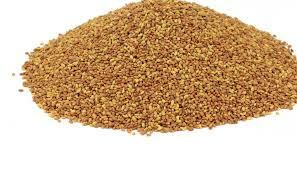 Walton Feed - A discount food storage program with Walton Feed, an Idaho-based company serving all areas of Idaho. All Idaho Farm Bureau members can receive a 20% discount on any product packaged in a #10 or #2.5 sized can. When placing your order online at www.rainydayfoods.com, type the Discount Code FBJ2018 in the “Comments” section of the order form. The online catalogue contains sections specifically for #10 and #2.5 storage cans. Important: The confirmation email you receive of your order will not reflect the 20% discount. The discount will be applied to your order at the time of billing. Members can find more information and order service by calling (877) 288-4958 or by visiting https://www.lifestation.com. Idaho Farm Bureau members presenting a valid membership card receive 10% off all products at the Village Coffee & Bistro located next to Edwards Theater complex in Boise, Idaho. Discount applies to Farm Bureau member cardholder and not to group. Idaho Farm Bureau members presenting a valid membership card may receive 50% of a bucket of range balls and 20% off merchandise purchased in the golf shop at Desert Canyon Golf Course which is located in Mountain Home just off of exit 95. All discount applies to Farm Bureau member cardholder and not to a group. Idaho River Realty will give a $500 off coupon to any Farm Bureau Member if they buy or sell a house with us. We have helped hundreds of people buy and sell homes here in the Treasure Valley. Book your next special event today at Cub River Lodge, Guest House & RV Park! (208) 852-2124 or cubriverguestranch.com. Farm Bureau members receive 10% discount during peak season. (May 15 to Sept 15) Excludes Friday, Saturday, Sunday Holidays. Farm Bureau members receive 20% discount during off-peak season (Sept 16 to May 14) Excludes Friday, Saturday, Sunday Holidays. Farm Bureau members get a 10% Discount for adventure & lodging at Silver Mountain Resort! Located in Kellogg, Idaho www.silvermt.com. For Reservations Call 1-866-345-2675. Step 1: Identify yourself as a Farm Bureau member when making your reservation. Step 2: Present valid Farm Bureau card at time of check-in. Health and Wellness Centers for more information. 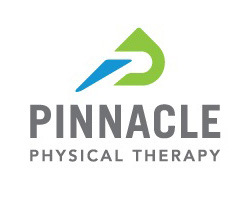 Idaho Farm Bureau Members are eligible to receive a Farm Bureau Wellness Package from Pinnacle Physical Therapy. The package includes a complimentary 20-min consultation, a Guide to Manage Back Pain, and an exercise band. Show your FB card and mention these deals to receive deal. $350 Idaho Farm Bureau Discount Certificate good toward New Patient comprehensive orthodontic treatment. Idaho Falls, Rigby, Malad. St. Anthony (208) 624-3231 or Rexburg 356-0881. Idaho Farm Bureau Members receive a 10% discount on any purchase. This offer can’t be combined with other promotions. Alcoholic Beverages are excluded. Idaho Farm Bureau members who show a valid membership card or proof of insurance receive a 10% discount on production Oakley Valley Arts Council. Located 20 miles south of Burley in the beautiful Snake River plains of South Central Idaho, the historic Howells Opera House produces musical and theatrical productions year-round. Member may go to www.valleyartscouncil.com or call (208) 677-2787 for information on upcoming shows. Larry Jensen Sod sells top quality, 5 seed blend, Kentucky Blue grass that is perfect for Southeast Idaho climate. Larry has been in the Sod business for over 16 years. The sod is delivered in 500 sq ft per pallet (delivery must be a minimum of 500 sq ft). Larry Jensen Sod also gives a discount with self-pick-up from his farm for those people that like to do things themselves. If you are a Farm Bureau member and can inform him or his staff while you are ordering he will give you 5% off your total order. Please see his website at www.LarryJensenSod.com or call him at 208-251-9131. The Sod farm is located on Hiline and Cemetery Rd. The 208 Group - Keller Williams Realty - 25% off listing-side fee when you list with the 208 Group. Up to $1,000 towards a 2-yr home warranty from Freedom Home Warranty, or up to $1,000 towards moving costs with Bust'n Moves. *Idaho Farm Bureau Members must present a valid Idaho Farm Bureau membership card or proof of insurance to receive these benefits. Clients are not eligible towards cash in place of discounts. Benefits cannot be combined with other offers. Call 208-380-0277. Geronimo's! Trampoline Park - Idaho Farm Bureau Members always receive 20% off regular priced individual admission. *Offer can not be combined with other offers or promotions. Farm Bureau members must present a valid Idaho Farm Bureau membership card or proof of insurance to receive this discount. 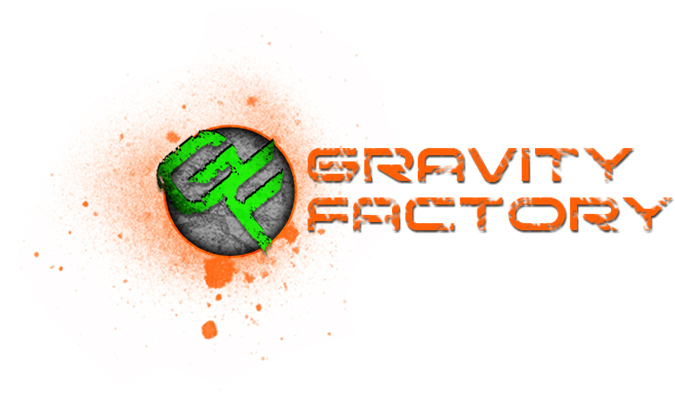 Gravity Factory - Gravity Factory will offer a $2 off discount for Farm Bureau members when you show your FB card or proof of insurance and mention the deal. This discount cannot be combined with any other offer, coupon or discount. Cannot be used for purchase of socks. The Victor - The Victor Apartments has 3 two-bedroom and 1 three-bedroom units available for short-term reservations. Completed in July 2018, these are buffed out with brand new appliances, private patios and large windows with great views. 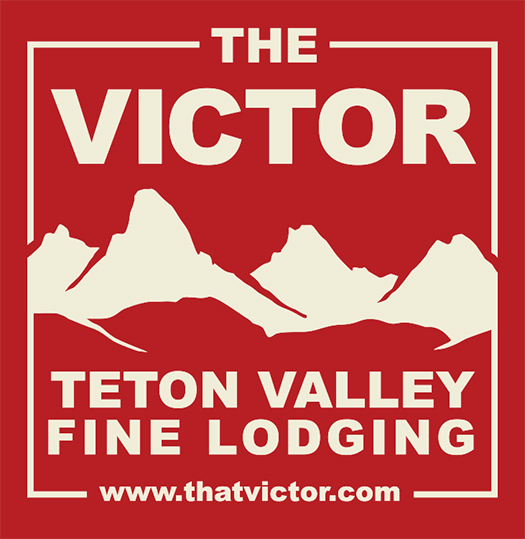 Victor, Idaho is equidistant between two renowned ski resorts: the world-famous Jackson Hole Mountain Resort and Grand Targhee. During warmer months, you can take advantage of Victor’s premier outdoor sporting activities—better biking, fishing as Jackson side and as good, but less traveled, trails. This is Teton Valley lodging at its finest— more relaxed. Three hours more sunlight in summer. More genuine town. Mention the code: 'farmbureau' when making reservations. Barking Spot Grooming - Idaho Farm Bureau members receive 20% off of services provided by Barking Spot Grooming. Members must present a valid Idaho Farm Bureau membership card or proof of insurance. Located at 307 River Street, Salmon, Idaho. Call 208-993-1748. 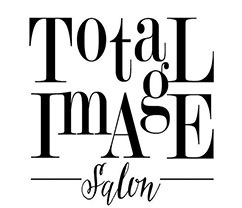 Total Image Salon - Idaho Farm Bureau members receive 20% off of services provided by Total Image Salon. Members must present a valid Idaho Farm Bureau membership card or proof of insurance. MDLIVE - Healthcare should be simple, fast, and uncomplicated. MDLIVE makes it easy for you and your family to visit a doctor in minutes through our mobile app, online and by phone - and when medically necessary, even receive prescriptions for medications to help you get better even quicker. Due to your Idaho FBF membership, you are eligible for unlimited free telemedicine visits with a board-certified physician for you and your family. Get access to quality healthcare without ever leaving your home, your job, or wherever you are. Find out how easy it is to receive affordable, quality care without traveling to the doctor's office! Click Here for online enrollment. Jiffy Lube - Sign your vehicles up for the Idaho Farm Bureau/Jiffy Lube signature Service Oil Change $10 Discount* program. *This is a stand-alone discount and is not stackable with any other Jiffy Lube promotions or discount offers. Once an Idaho Farm Bureau membership is confirmed on the first oil change, the discount remains in effect for that specific vehicle (using Fleet #102851). Present a Valid Membership Card or Proof of Insurance slip when signing up. The Canadian Pharmacy is a Canadian company located in Winnipeg, Manitoba. 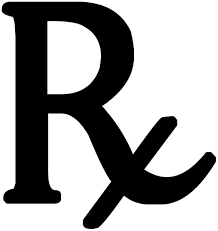 The pharmacy is an operating pharmacy that services local Canadian customers and U.S. mail order customers alike. The Canadian Government has placed price restrictions on drug manufacturers and a substantial savings is yours to be had by ordering many prescriptions through this reputable source. The Idaho Farm Bureau has an affiliate agreement with The Canadian Pharmacy and an ID number which is IDFB. Idaho Farm Bureau members can access this company on the internet at www.thecanadianpharmacy.com or on the phone at 866-335-8064. Farm Bureau members also get free shipping. The FREE Prescription Drug Card is perfect for the uninsured and underinsured, but EVERYONE is eligible for a free card. It’s pre-activated and can be used immediately at over 68,000 pharmacies nationwide. All prescriptions processed through the program are confidential. Great for people with Health Savings Accounts (HSAs), High Deductible Plans, Medicare Part D, or Non-Covered Medication. The card can be used to get discounts on most brand name and generic medications, with discounts up to 75%. 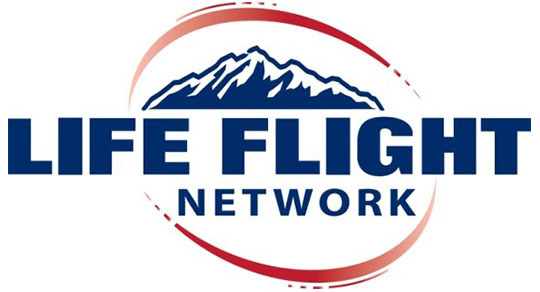 LifeFlight - Idaho Farm Bureau members receive a discount when signing up for an air ambulance membership. • Pay a discounted price for the air ambulance membership. Reciprocity may be available between the different programs. Please contact the individual air ambulance membership departments for more information. Call the individual air ambulance provider to learn about their service areas and to purchase membership. Make sure that you introduce yourself as an Idaho Farm Bureau Member to receive your discount. Once you have contacted the air ambulance provider of your choice and you are prepared to send in your payment, it is very important to remember to write in your Farm Bureau membership number on your application. 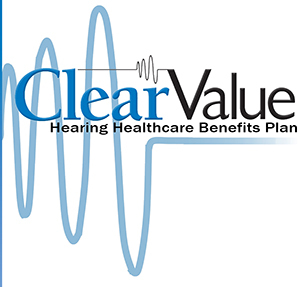 ClearValue Hearing - A hearing health care benefits plan to supplement existing insurances and Medicare. Upon activation this program is 100% voluntary with no additional cost to current members and their families. To activate your free membership and receive information on pricing and participating audiologists call 888-497-7447 and identify yourself as a Farm Bureau member. Sherwin Williams / Columbia paint & coatings - Members receive a discount level of 25% on paint and sundry items. Present the account number 9061-3888-8 at the desk when paying for items. Kelly-Moore Paints - Idaho Farm Bureau members can save 25%-35% on paint. Members go directly to one of the participating Kelly-Moore locations and use the account number FA5500. LifeLock - Protect your identity. Use your exclusive member discounts today! As a member of the Idaho Farm Bureau, you’re entitled to a special offer and 10% off. That’s just $8.99 a month for LifeLock Standard service. Annual membership also available. Cannot be combined with other offers. Big Dog Solar Energy - Be sure to ask about current tax incentives and a cash back program on all systems over $20,000. Solar PV systems reduce, or can completely eliminate, the amount of electricity you have to purchase from your utility provider. The electricity generated by your solar system is clean, renewable and reliable. Call 800-291-7652. Smart Home Technology - Water Hero P-100: Leak Monitoring and Protection System with Shut-off. Text/E-mail Leak & Temperature Alerts, Remote and Automatic Water Shut-off, Real Time and Historical Water Usage, Wireless Internet Connection over WiFi, Smart water meter shut-off valve, Installed to measure flow instead of external water detection sensors. Installation not included. Go to www.waterheroinc.com or call 617-819-4376. Regular Price $649, Farm Bureau Price $549. Other models available: Water Hero P-100 1": Regular Price $749. Farm Bureau Price $649. Water Hero K-100: Regular Price $499. Farm Bureau Price $399. Go to www.waterheroinc.com for more information and purchase the Water Hero unit. Use discount code FB100 in the discount box on the page where it asks for your shipping address during checkout. Free Notary - Farm Bureau members needing documents to be notarized can have them done at no charge at their local Farm Bureau office. Utah Jazz - The Idaho Farm Bureau is connected to “company promotions” for Utah Jazz games during the 2018-2019 season. Company promotions are not necessarily a straight discount percentage like other Idaho Farm Bureau member benefits (although many games have a 10% discount). Through this link, the Utah Jazz will change promotions as the season progresses. Some offers may be for single games and others for packets of games. Utah Jazz link will become active in the fall. Step #1: Select specific game or game package and click on “BUY”. Step #2: Write down what PRICING LEVELS are discounted. These are not seating sections. You’ll need this information for the next step. Place Promo Code JM7046 in promo box and press “Next”. Step #3: Choose quantity of tickets. For discount seats, select one of the discounted PRICING LEVELS that was listed on the previous screen (this will highlight all the seating sections that have tickets for that specific price). Click on “Best Available Seats” to get best seats in that price range or manually select seating section. Farm Bureau Marketing Association of Idaho sells varieties of Alfalfa, Pasture Mixes, Home Yards & lawn seed. For pricing call Zak: 208-390-4636 or Melissa: 208-239-4421. Click on this link to see seed varieties and pricing. Idaho Farm Bureau members can save up to $5,000 on the purchase or lease of eligible Cat® wheel loaders, small and medium dozers, backhoe loaders, compact track loaders, multi terrain loaders, skid steer loaders, telehandlers, mini hydraulic excavators and excavators. Members also receive an additional $250 credit on work tool attachments purchased with new Cat machines. These discounts can be combined with any current retail discount, promotion, rebates or offers available through Caterpillar or its dealers, with the exception of the Cat NCBA membership incentive. You must present the certificate at time of purchase or lease quote to receive the discount. One certificate required per machine. Eligible Farm Bureau members may obtain an unlimited number of certificates, but certificates do expire. If you have questions or need help obtaining the certificate, please call (208) 239-4279 or visit your local FB office.